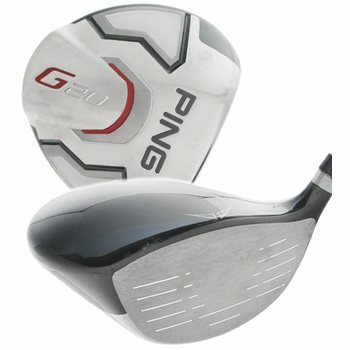 The PING G20 has external weighting which helps launch the ball high with low spin for maximum distance and accuracy. Distance is generated with a new version of PING’s proprietary TFC 169D High-Balance-Point shaft technology, which allows the golfer to swing a heavier clubhead at the same speed with a high MOI. The G20’s head rotation is neutral, allowing the golfer to deliver the clubface straight at impact. Review by Da, 2 years ago. Review by yellowvette, 9 months ago. Review by Zorba47 47, 1 year ago. Does this have a headcover? At this time we do not have the matching G20 Driver headcover in stock. What brand is the grip?